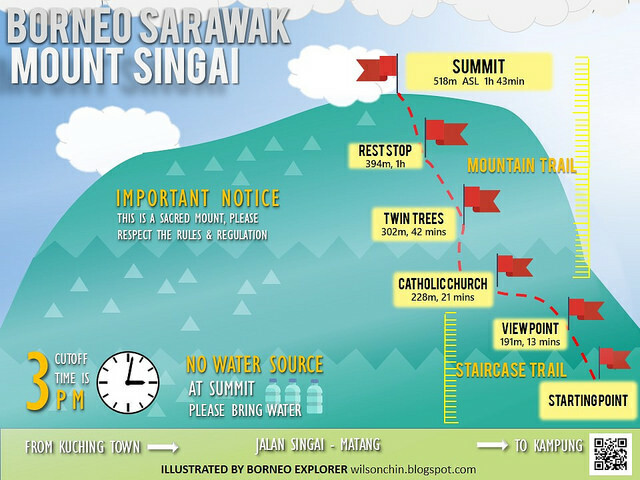 In Kuching, besides the Mount Santubong, Mount Singai is one of the most prominent mount, where average hikers will reach up to more than 100 people on a normal weekend. 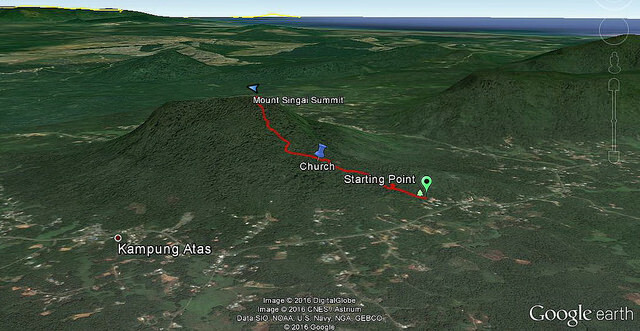 Mount Singai is 550m above sea level, I climbed the mountain countless time. This is a sacred mountain which owns by the Bidayuh people (one of the local Sarawak ethnic group) Bi means people, dayuh means land. 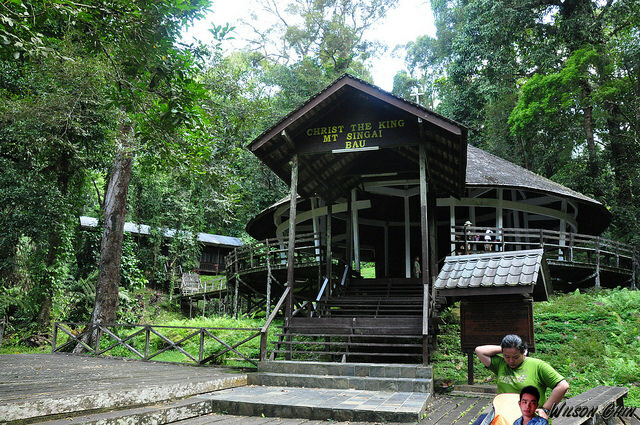 The various Bidayuh tribes, such as the Bisingai, Bijagoi, Bratak, Biperoh, Pinyawa, Bisapug, Bisitang, Biatah, Bibukar and Sadong, had different places in the mountains in the old days as places of refuge for defense purposes. Special traditional rituals and ceremony are being perform on the summit of the mountain. Now the Catholic Memorial & Pilgrimage Centre is located in the middle of this mountain. For people who like exercise, this is the perfect place to come. There are stairs built to ease the worshipers heading towards the Catholic Memorial Pilgrimage Centre, after the church is a further trail leading up the mountain to the summit. One of the rare plat which grows here is the Amorphophallus Hewittii, this flowering plant can be as tall as a grownup person. 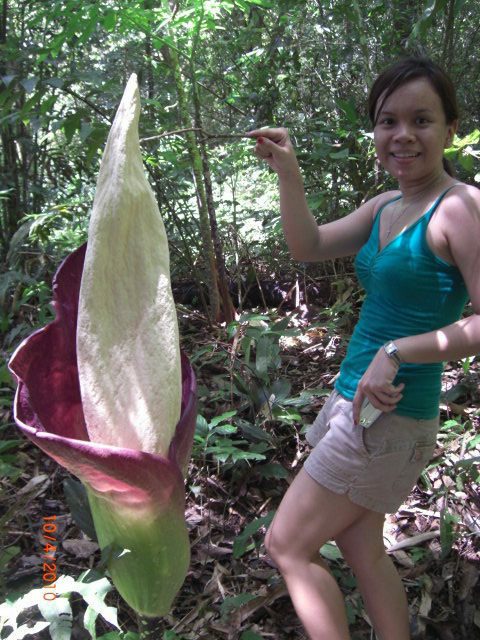 The plant is also called the titan arum and more commonly, the “corpse plant”. 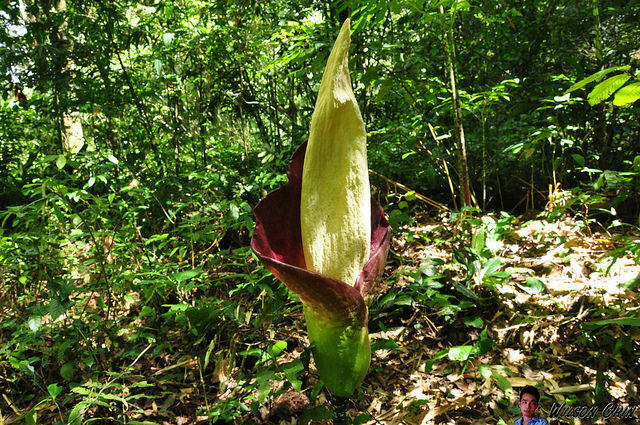 It’s called the corpse plant because of its distinctive, nauseating smell.